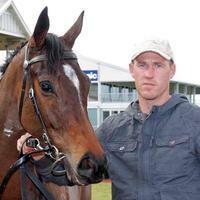 Matthew grew up with horses with his father Geoff training a few horses at Morphetville. At the age of 6, moving to Queensland with his family, Matthew and brother Joseph helped out on a rural property mustering cattle which they enjoyed immensely. After returning to South Australia, Matthew gained great work experience with some top Adelaide trainers including David Hayes, Peter Jolly and Paul Seater. Matthew started to break in and pre-train for numerous trainers in South Australia while also training one or two horses for himself. With the stable starting to grow, Matthew still wants to keep to a team where he can be as hands on as possible. 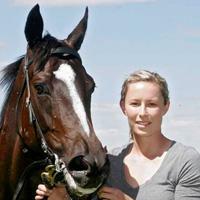 Sarah is Seyers Racing administrator and stable worker. Sarah has a certificate IV qualified veterinary nurse with over 10 years veterinary nursing experience and assists Matthew in running the stable and the horse training business. Her certificate IV in business management means she has the skill and experience to take care of the administration functions of the business. She regularly attends the stables, track work and race meetings.